On the prom committee? Trying to plan winter formal? 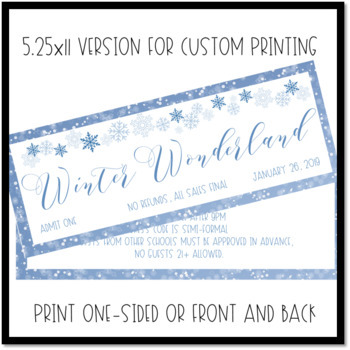 Looking for an adorable ticket template? Look no further! 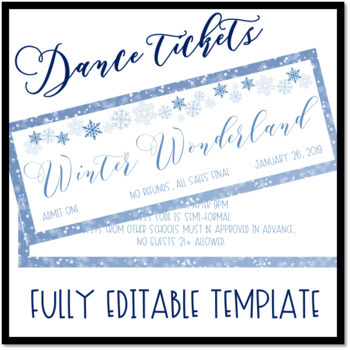 The text in this template is fully editable, making this customizable ticket template perfect for any dance or ticketed event at your school! 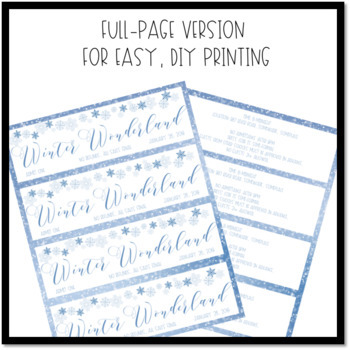 This also includes two versions--one with white space between the tickets and one without the white space to give you options for how you want to print and cut out the tickets. This download is a .zip file. If you would like updates when I post new content, have a sale, or post a flash freebie follow me! I have some great resources in the works that I can't wait to share with you! 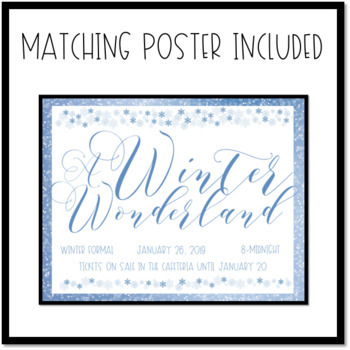 Licensing Terms: This purchase includes a license for one teacher's personal classroom use only. This license is not transferable, meaning that this resource is not to be shared or passed from one teacher to another. Do not share this resource with a colleague, use for an entire grade level, school, or district without purchasing the proper number of licenses. If you are interested in purchasing transferable licenses and would like to know more, please email me at mrsjessicadoering@gmail.com. Copyright Terms: This resource must not be uploaded to the internet, copied, or distributed in any form, including placement on network drives unless the folder or website is password protected and can only be accessed by the teacher and his or her students.